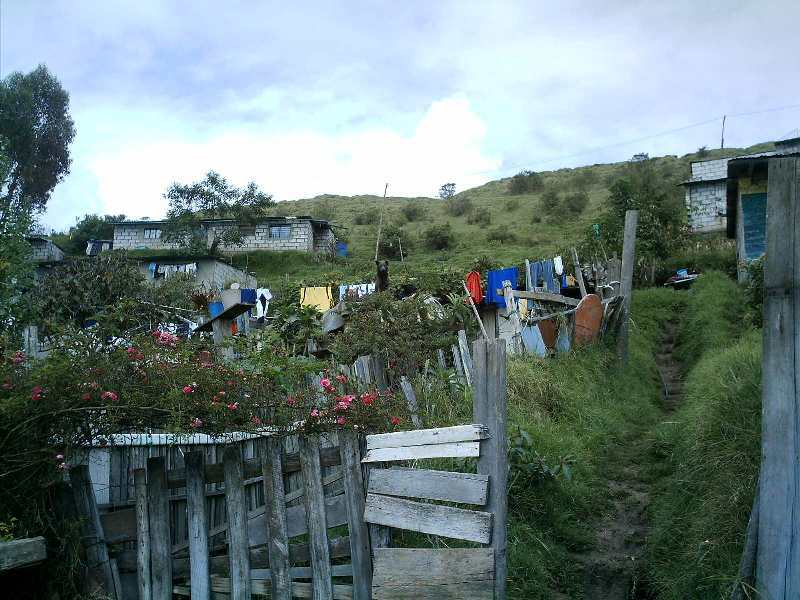 The community is located at the south east of Quito, at an altitude of 2800m (9200 ft) from sea level. The winters have episodes of intense cold and the summers are accompanied by strong winds. The neighbourhood was created in 1986 for an area of 80 hectares (200 Acres) divided into 1500 land lots. In 2005, it was at 40% inhabited. Between 2003 and 2005 through the neighbourhood directive the community managed to get water and electricity to almost 90% of the population; but it still needs to provide for the sewer, school and health centre. Due to these new basic services, new families came to the neighbourhood establishing over 600 families with an average of five members per household, i.e. approximately 3000 people. The population is expected to dramatically increase due to the creation of new accesses to the site as an extension of Simon Bolivar Avenue. 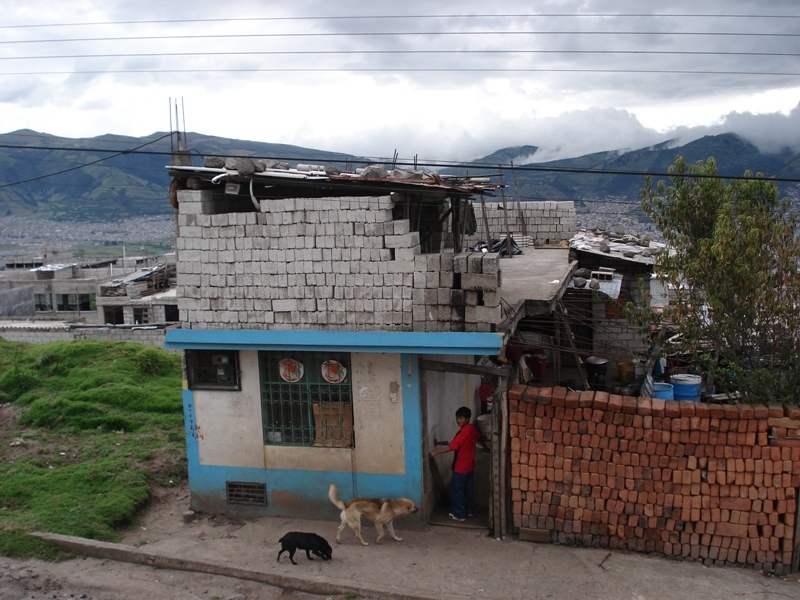 The great majority of the parents from this community have temporary and/or informal jobs with very low wages. This does not help them to meet with the daily household expenses, which generates frustration and disillusionment. The nutritive diet is henceforth affected with negative repercussions for the physical and intellectual development of the children. The hygiene at home being minimal, the children constantly have internal and external parasitic diseases, skin diseases and stomach germs. 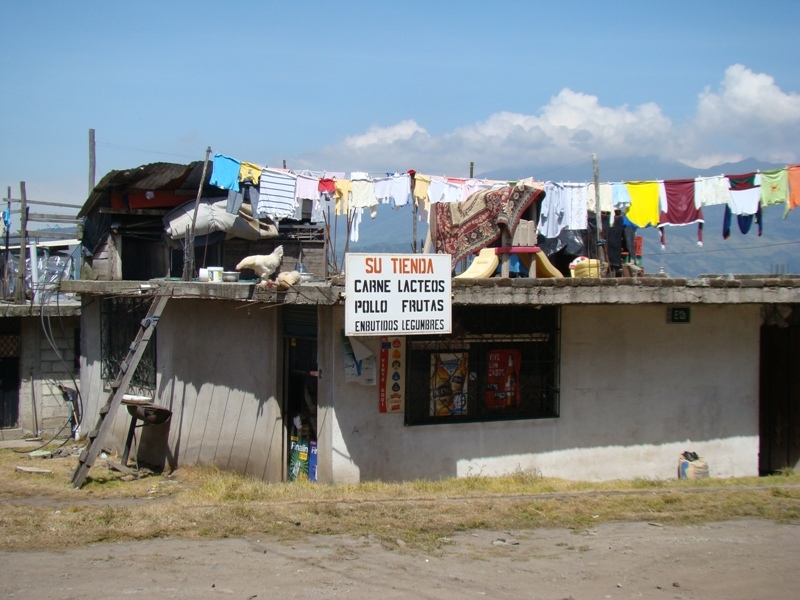 Moreover, the children and women, being a population at high-level of vulnerability, suffer physical and psychological mistreatment due mostly to a high rate of alcoholism and adult semi-illiteracy (men). As there is no school or health centre in the community, the parents must look for these services in the surrounding neighbourhoods, putting their kids at risk as the community is surrounded by busy highways. The situation worsens for mothers that need to work although they breastfeed or have children younger than 5 years old. They also must look outside of the neighbourhood for day nursery or leave their children locked up at home.